Megan Gill, modern glamour photographer, explains how she gets her business clients to step into their light and change the way they see their self. ​You’ll discover pro tips and ideas to help you get a beautiful photograph of yourself that you love. 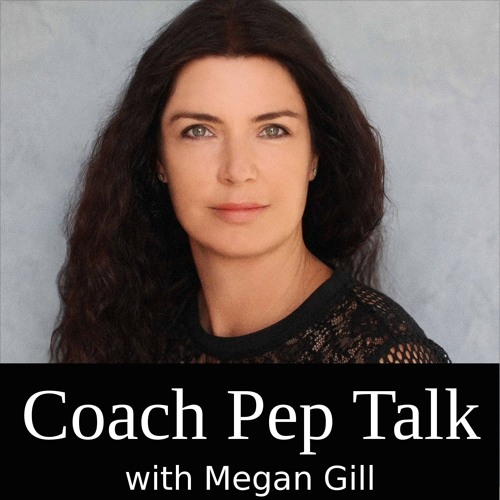 Benay: [00:00:00] Welcome to another episode of Coach Pep Talk, the podcast for people who run their own coaching businesses. Each week I talk to an expert who shares wisdom that helps us be better coaches and better coaching business owners. This week I’m talking to Megan Gill, who is a very talented photographer. She’s going to be telling us all about how we can get that perfect profile photo and get great R.O.I. On our next photo shoot. I’ll see you on the other side. Benay: [00:00:32] Coach Pep Talk is proudly brought to you by Life Coach Office. The one stop shop for managing your coaching business online. If you have a boutique coaching business and you’re looking for a place to hold all of your client information and to share your awesome tools and resources with your clients, Life Coach Office could be the perfect system for you. The best way to know is to sign up and give it a try. We’ve got a free seven-day trial. All you need is an email address to sign up. You can go and sign up for that free seven-day trial at lifecoachoffice.com. Benay: [00:01:09] I’m breaking the mold a little bit with today’s guest because today I have invited a photographer on the show and not just any Photographer, Megan Gill is a modern glamour photographer, whose specialty is to help you step into your light and change the way you see yourself so that you have a beautiful photograph of yourself that you love. Now with the days of social media and images just being everywhere and you needing images all over the place on your own business because coaching is about that one on one relationship. I thought it would be awesome to have a talented glamour photographer on the show telling us how we can get that perfect picture and some other tips about what we should think of during that photo shoot so that we get the best out of our investment. Without any further ado, I’m very happy to introduce you to Megan Gill. Benay: [00:02:05] Hello Megan and welcome to the show. Megan Gill: [00:02:07] H, Benay, thank you for having me. Benay: [00:02:09] I’m so excited to have you here because I’ve never had a photographer on the line before. I’ve had some web designer/developer types but otherwise it’s been all coaches, so it’s really cool to have someone that’s coming from a really different industry to come and inform us on such an important part of what it is to be a coach and to market yourself as a coach. So thank you. Megan Gill: [00:02:31] Your welcome. I’m happy to be here. Benay: [00:02:34] Yeah I love. I wanted to kick off with this because this is what I really like… Made me fall in love with you as a photographer. For any of you guys who are listening, who listened to the interview I did with Michelle McGuire of Bossy Girl Media, she talked about Facebook and she invited everybody to come on and do her Facebook Live challenge of which I put up my hand and which Megan put up her hand. So here we are in this Facebook group, getting out of our comfort zone, testing these videos that we’re making on Facebook Live and Megan gets on and in one of her videos she asks, even though her video was like sideways and you know there were lots of mistakes that everybody was doing… Now she asked this amazing question and that’s when I fell in love with you, Megan. And you said, I think it was if you could be photographed anywhere in any situation, what would that be? And I would, you can correct me if I missed the question a little bit, but it just really captured my imagination. I was really curious to know where…how Was that question born and where did it come from? Megan Gill: [00:03:36] The question was How do you dream of being photographed. Benay: [00:03:38] How do you dream; I knew it was something amazing. Megan Gill: [00:03:42] Well the question, I’m always trying to figure out marketing terms and getting into people’s heads about what they want, what they need, and what people want is usually what they mean. They need a headshot. They need a photograph. And I thought well that’s good but it’s kind of boring and playing small. And I thought, if you played big on this question What would that look like. And that’s what it looked like. How Do you dream of being photographed? How do you want to be photographed? That speaks to the head and the mind. How do you dream of being photographed, to me that speaks to the heart and soul and that’s really exciting? Benay: [00:04:30] Yeah it’s totally did, I just got goosebumps. Yeah and it totally captured my imagination. I don’t think I was the only person that had this. But like I went and had a discussion with my husband about it afterwards and how would he like to be photographed. He really was pondering it came up with a couple of good ones. Megan Gill: [00:04:53] Lots of men with cars. Benay: [00:04:54] Yeah. Oh yeah. He moved on from that fortunately. But anyway. Okay. Yes, So I just love that question I thought that it really embodied really nicely kind of your approach to being a photographer, which is why I was so excited about getting you on the show. Even though I had never occurred to me before I met you to have a photographer on the show. So let’s start off with sort of setting the scene here. As a business owner today, you know we’ve got an audience full of people who have coaching businesses. Why is it so important to have photos of yourself? Megan Gill: [00:17:48] Well Benay, most of our business these days is happening online. We can connect with so many people in one day if we wanted to online. And when we meet these people they don’t see our little nuances, they don’t see our personality shine through because things like the twinkle in your eye or body language or even just your energy and how you carry yourself. They can’t see those things and you only have one chance to make that first impression. One chance for your first impression. And I think it’s really important and smart to manage that and to put your best self forward. That’s why I think a headshot and updated photographs are so important to online businesses. People need to be able to make a connection and to feel safe. I guess with people they are perhaps going to do business with. Benay: [00:18:28] Yeah you know I think this is an area that people can tend to skimp on you know because everybody kind of sees himself as a photographer these days. And they can say oh why my partner can just take this or I can just do a selfie. Do you have any thoughts or feelings about that? Any common mistakes you see out there? Megan Gill: [00:18:42] Well just the quality. It might be a nice photograph of them, but it doesn’t have the correct expression. It doesn’t have the correct body language. It’s more maybe not a party photo but going out photo, it doesn’t speak professionalism. And if that’s what you’re trying to convey then it really is important to have a seamless online presence and that also goes beyond just the photograph. It sort of moves into personal branding and content and having everything marry up together. Yeah, right through from your colors, to your backgrounds, to the words they use, and then to your image. Having the full circle is really important. Benay: [00:19:17] Yeah. Yeah. So, you’ve kind of touched on this a little bit in the previous question, but what do you feel makes a business portrait just great? Megan Gill: [00:19:22] Well planning, lots of planning and nutting out how you want to portray yourself. Who is your demographic? What is your market? And how are they going to perceive you? So there’s a bit more thought than just coming in to have your photos taken. It also forces you to ask the question, Yeah, what feelings do I want to evoke with this photograph? Is that one of trust? Is it one of professionalism? Is it one, a doctor you want to trust them, an accountant, you want them to be very put together and organized looking, and perhaps your yoga instructor or health or a natural health professional you want them to be happy and fresh looking. So there’s a lot of that’s a lot of things to go into… Towards a great looking Portrait Professional portrait. Benay: [00:19:59] I like how you said that it’s really important that it resonates with your target audience because I guess a lot of times when you’re behind the camera you’re feeling self-conscious and you want to make sure you look beautiful to yourself. Megan Gill: [00:20:10] That’s right. Yes. Benay: [00:20:10] It’s actually not about you. Megan Gill: [00:20:11] Yeah. It’s how you come across and how people can perceive you. And expression is huge and it’s really hard to get those micro-expressions when you know your partner’s taking the photograph or you’ve taken the photographs yourself. Yeah. If you employ a professional and you nut out exactly what you want, you’re going to get a better result. Benay: [00:20:27] OK. So when you start out with a new client, you sit down with them and sort of map out all of these… You have a couple of key questions that you ask them to elicit their brand and feeling and emotion, yeah okay. Megan Gill: [00:20:35] Yeah. The consultation is really vital to get the result you want. So lots of questions and planning and its lots of fun because it’s also a discovery for the client about their own business and they walk away feeling much more confident about who they are as a brand and moving forward. Benay: [00:20:51] Yeah and they’re going to have these professional high quality crisp beautiful images to take not all the next level. I’m getting excited! Okay, this brings me to my next question because I actually am in a phase where I need to update my pictures. I’ve been kind of doing it on my own. My husband has taken some of my photos and I’m ready for that next level. And, um, but you know, I need to now that I’m you know got a podcast, and got the blog, I’m on Facebook, on my Instagram. You know I can see that, wow my images need to just be reusable. They need to be all over the place. You know, probably need to be shot in all these different outfits, maybe some different backgrounds, but that just sounds kind of overwhelming and scary. Like, what do I even… Where do I start? What do I ask for? Like, do photographers know that stuff? I just like you know you go and you get your headshot and then you get a headshot and that’s it. But actually there’s a lot more stuff that you could actually get, I guess a better return on your investment. So I’d like to talk about that. Megan Gill: [00:21:36] Well you can, you can plan to bring a few different wardrobe items usually headshots from the shoulders up or… But you can also think about getting a full length photo. You can change it up with just simple wardrobe, a jacket, a scarf, different things. and backdrops, we can do it on our white backdrop, gray backdrop. They always look really clean and professional. And you can also explore some lifestyle photographs of you doing what you’re actually selling. But that’s probably more moving on to personal branding then the headshot. Benay: [00:22:05] Yeah, is there, I guess when you’re booking a photo shoot do you distinguish between the headshot and the personal branding more action shots more. Can you do All in one thing? Megan Gill: [00:22:12] A lot of people come wanting just a head shot. They just need one photo. And so myself I have a package for this and that starts at 450 dollars and that’s for three digital images. So you can have as many different changes that you want but at the end of it you can choose three images for 450 dollars. And then what happens is, we create so many gorgeous images, then you can then go on and buy the rest separately. And that’s how it works. Yes. So 450 dollars for three images. Benay: [00:22:37] So what about you know, I’m thinking of if you want to do, you want to be able to use your head shots in your photo shoot for your Facebook banner so you need something that’s actually quite wide You know, to be able to deal with that. Do you plan that in to your photo shoot? Megan Gill: [00:22:49] Yes. when I shoot the way are crop in camera, I leave some negative space on one side and then you can get the Facebook banner. And that’s where your logo or your words or some more information can go. So you get a long Facebook banner image. So those three images can come in all different crops, they can be cropped in square format for Instagram. You can have them as a circular image with just your face so that sometimes stands out and looks great in marketing material. So yeah those three images can be cropped to all different uses on social media. Benay: [00:23:17] OK. So you touched a little bit on this, but any tips for the business or the coach who’s thinking, wow I need to go out and get some professional photos done on actually planning their photo shoot and getting that good R.O.I, you know to make sure that they can use that cross media and then reuse them in lots of places without looking like you’re just using the same image all the time? Any good suggestions there? Megan Gill: [00:23:35] Well I guess it’s about finding that, do you mean finding the right photographer for you? Megan Gill: [00:23:39] Asking these questions? Benay: [00:23:40] Not yet. I mean I do want to get to that, but more like if you’re, so let’s say your kind of in the…you’re in the business owner’s shoes and they’re wanting to put out put a request for something for this headshot photo shoot thing to happen. But to make sure that they get things that they can use in lots of different places, And all sorts of their social media and their Website and everything. Do you have any tips on I guess planning that photo shoot so that they get the biggest bang for their investment? Benay: [00:24:02] And maybe it is something like you know just making sure you have 3 outfit changes, so that every outfit is… Or three backgrounds so that everyone every one of your three photos looks a little bit different or something like that. Megan Gill: [00:24:13] Yeah that’s right. And also playing with different expressions, different body language, different posing. Then you could really utilize your images to create different emotions if your, um perhaps you’ve got a really strong quote, like a power quote, and you’re wanting quite a strong look. You could pair that bit with that image or if you’re wanting to have a softer image with a more empathetic expression that can extend the usage. Also using plain background, you would be out to lasso yourself and changed backgrounds. If you’re that way. If you were graphically able to do those things. Benay: [00:24:43] Or you might have a team member who can quite happily do that for you too. Megan Gill: [00:24:47] Yeah yeah. Benay: [00:24:47] You know that’s really cool. So people could plan about…yeah I like that idea with the expressions different shaking up the expressions in the poses. If you’re just trying to narrow it down to sort of a handful of key photos I think those are really good tips, a different outfit with a different plain background that can be possibly changed, a different expression that I guess that reflects your coaching businesses brand essence and your personality. Yeah it’s just really great. It gives you lots of sort of depth to sort of I guess still a lot of preplanning before you even engage or have that first conversation with the photographer. Megan Gill: [00:25:16] Yeah. And I know we’re talking head shots today, but while you’re having your head shots and you know if you’re having your hair and makeup done then you know, why not involve some more people at the end of your shoot and have some more portraits done. And then perhaps even those photographs can be used in your media if you’re ever interviewed in print, you can you can provide your own beautiful images to showcase who you are and what you’re about. What do you mean to involve more people? Megan Gill: [00:25:40] As in your family. Oh your team of people. You know, if you work with a team of people. Or even testimonials with people that you’ve worked with in the past. So if you’re going to the effort of having all these photographs you can really utilize your time and create a real body of work. and that would move into more personal branding. Benay: [00:25:55] Yeah that’s really great. That’s kind of what I wanted to open up in our discussion today was how coaches can start to think and plan strategically when they’re thinking about their photos, rather than just thinking oh just go in and get a photoshot, the uh headshot, sorry, to actually broaden that project and get a whole lot from the time they spend, and the brainpower they spent even thinking about it. Megan Gill: [00:26:13] Yeah yeah. I’m a big believer in show don’t tell. You need to show people what you do, you need to show them results, and if that’s just people writing testimonials then that’s really important. There’s so much noise out there on the Internet. You really need a stand out and be authentic and have people vouch for you too. Benay: [00:26:29] Yeah definitely. Okay so let’s take a look now. How can we make sure that we choose the right photographer for us? You know rather than just calling up somebody randomly and booking an appointment, like what should we look out for when we’re in that hiring process? Megan Gill: [00:26:41] Probably for hiring a photographer something, maybe they come to you, or you see someone’s headshot that you really like and reach out to them and say, who did this for you? That’s something that I’m wanting to achieve and go from there. Look for the…if You see a photograph that you love, just reach out and find out who took it and make contact with that person and then ask these questions and see what questions they pose to you and see if they’re questions that resonate and opening you up to putting your best foot forward. Benay: [00:27:05] Yeah I really like that you know in my line of work and in it I.T. I do a lot of like technical projects outside of doing this, and I hire a lot of contractors/subcontractors who do work for me and I’m really keen on really having that sort of personal connection you know, that people can actually, we can communicate really clearly and easily together they make my life easier not harder. I like them as people and actually saying no to everybody who doesn’t fit that mold for me. I don’t know. I guess when I first started I didn’t have that confidence to really just work with people that I love. Yeah I think that that’s a good way to go. Personally it makes everything a whole lot more fun and enjoyable. Benay: [00:27:37] Yeah. OK I do want to touch on this because I have finally got myself on Instagram after about two years of people saying, Benay get on Instagram and I am realizing that selfies are, Of course, they’re all… But there is an art to them, oh my gosh. How many photos do I have to take to get one that sort of looks anywhere reasonable? Can you give us any, I know that this is selfies, but since you’re a photographer, I’m sure you have some insights on how can we take a good selfie? Megan Gill: [00:27:56] Yeah no problem. Well, it’s all about the light basically. Megan Gill: [00:27:58] Find yourself a big window or even a small window, just a window that you know and stand in front of it, and then have your camera or your phone, Sometimes I like to leave my phone up against something and put a timer on. So My hands aren’t in the shot. My arms aren’t in on the angle, so I would use most cellphones have a self-timer and if you don’t have one there’s apps for self-timers that you can download and you can see yourself and you can see your expression. Have it at eye level and just watch your chin, that you your chin, your shoulders are down, your chin is out a little bit and just move your head up and down and see it will change the shape of your face and see where it looks best and just practice. And yeah it’s mainly about the light and then expression, I think. What sort of expression you have, sometimes a little squint of the eyes looks nice and.? Benay: [00:28:39] Even If you have even if you have crow’s feet? ha-ha. Megan Gill: [00:28:40] Well Sometimes we over smile. Benay: [00:28:42] Yeah I do. Megan Gill: [00:28:42] Yeah yeah. Just a little squint of the eyes it’s really really personable. Benay: [00:28:46] Yeah, I’ve been playing around with my Instagram account. I love that they have filters, that’s awesome, because you can really cheat. Benay: [00:28:51] Oh Yeah. I’ve been playing around with the expression and that’s really fine you know to realize it doesn’t have to be just a pretty smile, like you actually can be a little bit of a goof ball and do thumbs up and make all these weird faces that I actually make in normal life. It’s liberating. Megan Gill: [00:29:03] Yeah. And if you don’t actually, if your arms aren’t in the selfie and you do use the timer and lean it up against something, it can it can look like someone else took it. It doesn’t have to be the selfie where people are a little bit hesitant to seem, you know, vane or what not. It just looks like a regular photograph that anyone took and you look gorgeous and you should Definitely do more. Benay: [00:29:16] Okay okay. Good tips. You wouldn’t happen to know any specific apps that do that self-timer thing do you or is? Megan Gill: [00:29:22] Not off the top of my head but if you just put, if you google self-timer you get it. And I think a lot of phones already have the count down for the timer, there’s a little sort of like a circle with a tick and you just press it at the top or Yeah, check it out in your phone, I’m sure most phones have it. Benay: [00:29:35] That’s great. I Haven’t I haven’t graduated there yet but if any of our listeners do have the expertise and knowledge on this stuff please feel free to leave your comments and share the knowledge. All right. If you would want listeners who’ve listened to this episode today to just take one thing away from this episode what would that be Megan? Megan Gill: [00:29:52] It would be to exist in photographs. Exist in photographs for yourself to create your legacy for generations to come to enjoy. And to put your best self forward. It’s so important, it can be such a confidence boost, we don’t all wake up looking amazing like … We know that we have our Cover girl moments or our you know, our model moments and they can really do a lot for your confidence and for your energy too. How you project what you give is what you receive. Benay: [00:30:17] Yeah and just for the guys who are listening, can they have their cover guy moments too? Megan Gill: [00:30:22] Oh, Absolutely. Benay: [00:30:22] Just doesn’t want that, just didn’t want them to think they don’t listen also. ok, I Love that. Put your best self forward. I think it’s something that I’m definitely ready to do and have that that different level of professionalism in my photos and to really get across the personality, the vibe, the vibrations I’m giving off in this stage in my business. It really changes as the years go on, so I think it’s really important to continually update these things. Megan Gill: [00:30:41] I can’t wait to photograph you. Benay: [00:30:41] Yeah I’m excited. And just as a side thing to, as a person who does podcast interviews and I deal with coaches that you know are at amazing levels in their coaching business. And I ask me them to send me their headshot for my artwork for the show and some of them are just appalling. You’d be surprised, these brilliant you know, very talented coaches just don’t have that level of pictures yet. And I’m just like, that’s why I wanted to get Michelle, sorry Megan on the phone today and to tell us all about how to get a good head shot. So we all sort of start to take that seriously. OK. Before we leave Megan, how can people learn more about you and your beautiful work and if they’re in Australia even book for a shoot? Megan Gill: [00:31:12] Yeah, well they can reach out to me on Facebook. I regularly post things with tips on head shots and I’ve recently published some videos on how to look amazing and how to put your best self forward. Find me on Facebook. Benay: [00:31:20] Yeah and I’ll include the link. I’ll include the link to Megan’s Facebook page in the show notes, so please check it out. She’s got some, a really beautiful video that was so inspiring about putting yourself forward and it’s just a behind the scenes look at one of the photo shoots and how she just really does capture that cover girl and cover guy moment. Where the business owner you just feel like a superstar. And I think that we all deserve that moment in our in our career and to show that to our clients is a gift that we can give the world. OK. Megan let’s wrap it up there. Thank you so much for being on this show. Megan Gill: [00:31:47] Thank you so much for having me Benay. And yes I look forward to posting your own images. Benay: [00:31:50] Yeah me too. Everybody keep an eye out for those. OK. Listeners thank you as always for checking out Coach Pep Talk and please if you’ve got some time go over into iTunes and go and like the show that really helps us get the word out there about the cool work we’re doing here and all the amazing people that we’re getting to talk to for you guys. I really appreciate it. All right. Have a great day everyone. And happy coaching. Would you like to listen to more episodes of Coach Pep Talk? Filling out this form will sign you up for our newsletter and marketing emails.